I began writing "Funny Finns" after I woke up one October/2010 morning. I had just had a dream that included several of the Finnish people I knew as a boy growing up in Toronto. It started the memory tour about speaking Finnish as my first language and learning English. Early in life I was immersed into the Finnish/Canadian culture and this poem is the result of some of those memories. I think that all cultures have some pluses that members could cherish. The Finns have "Sisu," the Scots say "go berserk," the English have their "stiff upper lip," the Americans say "pull yourself up by your own bootstraps." All of these ideas are rough analogues and it doesn't make one better than another. I hope that when you read "Funny Finns" that it will inspire you to think about some of the goodies within the cultures that you have been exposed to. It’s fine to be a Finlander. We chop logs where we go. We burn them in our saunas, they’re our second home. We pour water on the rocks and listen to the roar the lōyly  makes.. The steam is hot as hell, and we feel the blast it creates. We jump naked into the icy lake and roll around the snow. We scream with wild delight and send our laughter to the sky! Then there’s makara  splitting on the sauna rocks and cold olut  nearby. What makes us so? I guess sauna’s in our blood. We Finns might be a little crazy, but insane - isn’t so. onions & buttered new potatoes. Don’t forget the salted salmon and the well roasted hog. It’s no wonder we drink vodka and sing many songs. The winter nights are long and the air is very cold. The northern lights flash and it’s a wonder to behold. The snow comes up to our knees; but it doesn’t stop our means. The flames embrace the midnight sun we've seen in our dreams. 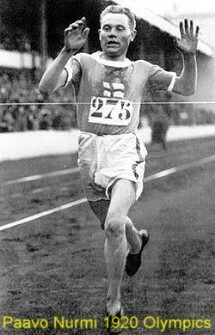 & we still salute Paavo Nurmi’s  many fine chores. The Winter War is over and freedom still reigns. 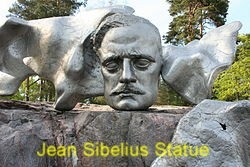 It’s in our Sisū  … no one takes Suomi,  our beloved land! 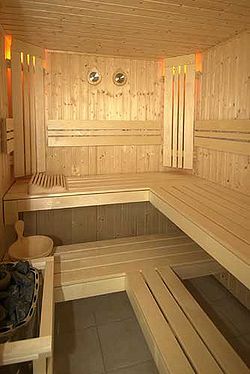 “Lōyly” is the steam that flows from the hot sauna rocks. To many Finns it is both physical and spiritual. A “vihta” is a bound bunch of silver birch branches with leaves used to gently beat and stimulate the skin. Just prior to use it is revitalized in a bucket of hot water and used in the sauna. It adds to the odors & when properly used, it doesn’t harm or hurt. “Makara” is Finnish sausage. It is sometimes heated on the hot sauna rocks. The outer skin often splits when it is well cooked. “Olut” is the traditional Finnish word for beer. Finns love a cold beer or soft drink during breaks & after a sauna. “Pulla” is traditional Finnish sweet bread characterized by interweaved dough. “Silli” is Finnish for salted herring. It isn’t cooked but aged in a brine and can be marinated. During the Russo-Finnish or Winter War (30 Nov. 1939 - 12 Mar. 1940) the Finns fought valiantly & repelled a larger and stronger invading force. They chased them into Russian territory but later encountered a, million strong, USSR army. They ran low on ammunition and had to negotiate the peace. Finland ceded part of an eastern region called Karelia but remained a free nation. “Sisu” is a Finnish term that strikes at the heart of the Finn's cultural endurance. It is something intangible that sustains you when all appears to be lost. You control your fear and endure with Sisu in your heart, no matter how long it takes. The spirit of Sisu say, "You might not always win but you'll certainly never lose!"